These three bezelled Siam Swarovski Crystals are embroidered onto black mesh. 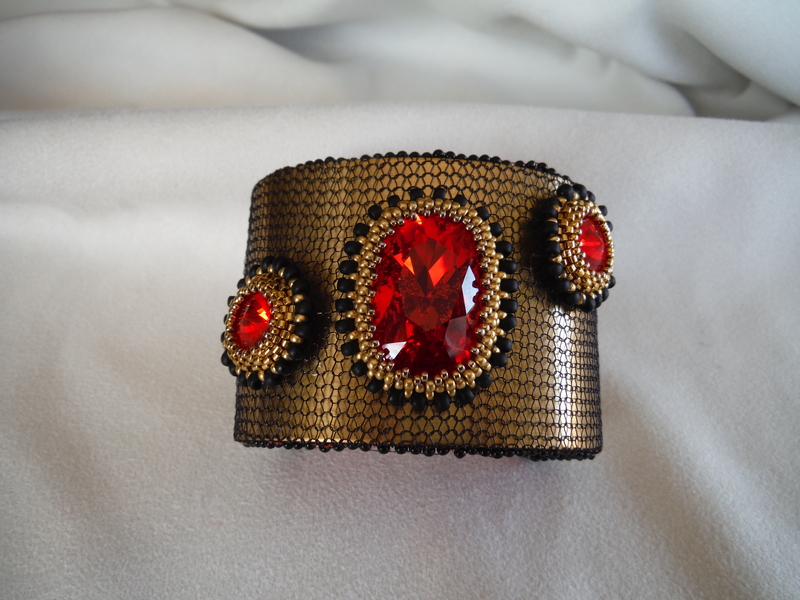 This formed cuff is open at the back for ease of use. Size is slightly adjustable.